Beside cancer, heart disease kills a lot of people everyday. 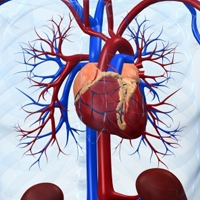 In this article we will see some preventions of heart disease. In fact there are many causes of heart disease where anything that serves to damage the inner lining of blood vessels and impedes the transportation of oxygen and nutrition to the heart can be defined as a risk of heart disease. Some other symptoms also can be detected such as memory defects, changes in skin tone and temperature. So how to prevent this heart disease? Most heart diseases are preventable with a change of life style and healthy diet. In fact unhealthy diet is a major cause of heart diseases where the buildup of cholesterol and fat in the inner wall of arteries narrows the arteries, affects the circulation and causes heart attacks. Fiber – soluble fiber eliminates the bile resulting in reduced amounts of cholesterol in the blood. Reduce intake of saturated fat and trans fat – saturated and trans fat are toxins causing cholesterol to build up in the arteries. High complex carbohydrates – Vegetables & fruits contain high amounts of plant pigments that provide healthy protection against heart diseases. Drink more water – maintaining normal function of our body’s cells is a healthy way to normalize high blood pressure. Fresh water algae – helps to maintain normal blood pressure as well as cholesterol levels. Onions and garlic – helps to keep blood pressure and cholesterol levels in healthy range. Nuts and seeds – helps to prevent clots of arteries and lower cholesterol levels. Vegetables and fruits – helps to strengthen your small blood vessels and thins your blood so it can flow smoothly. In fact there are a lot of applicable preventions of heart disease however I recommend you consult with your doctor first before practicing any method or way. Hope the article helps!